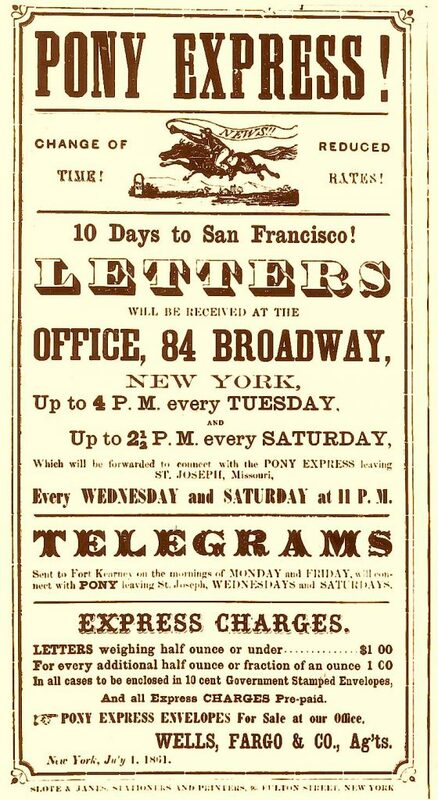 1861 Pony Express poster from the Smithsonian National Postal Museum. 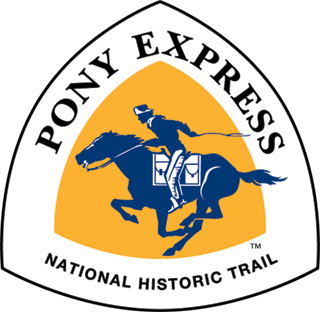 Join the Pony Express Re-Ride! If you are interested in joining our association as a rider, please contact one the State Division Presidents to see if any ride slots are available in their state. 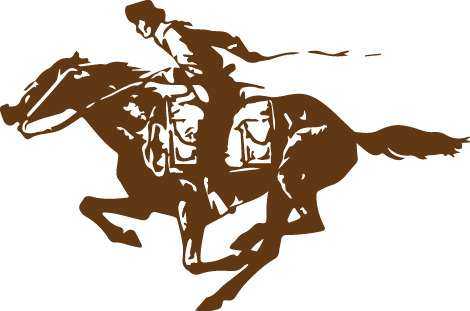 Official riders shall be members who are fourteen years of age or over, with a suitable horse, apparel and equipment. Persons 14 – 18 years of age must have parent or guardians consent. Each rider must be a member in one of the state divisions. Each rider must have on file a signed waiver/release of liability before riding. Each rider must provide their own mount. Must be at designated location two hours prior to ride time and complete ride in allotted time. Must wear appropriate WESTERN attire: Blue jeans, long sleeve red western shirt, chocolate brown vest, yellow scarf, boots and western hat. Interested in participating in the annual Re-ride but not quite 14 yet? You can shadow/buddy ride with an official rider (same requirements). This option is open to all who want to experience the annual Re-Ride. In keeping with the tradition of the Original Pony Express, each pony rider is required to take the following oath, similar to the riders oath in 1860.